College Theatre - College Point (Queens), N.Y. The College Theatre was located on College Point Boulevard (also known as 122nd Street) at the corner of 15th Avenue, in College Point, Queens. 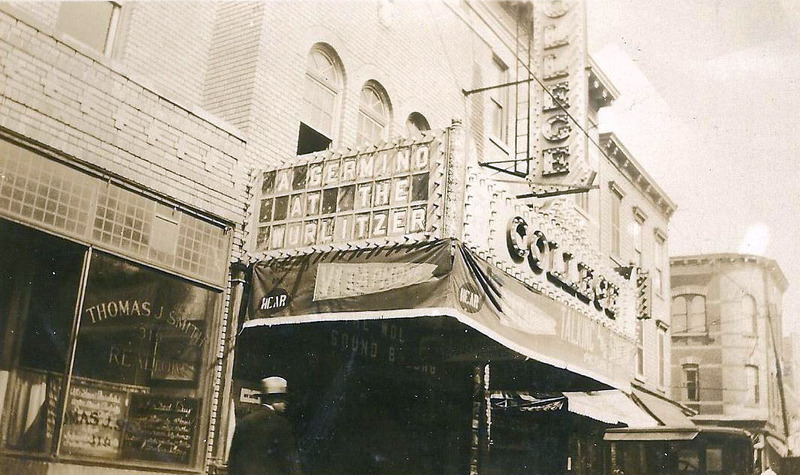 It had a reported seating capacity of 1,098 and opened in September 1926. In 1946, the College was acquired by the Interboro Circuit and modestly "modernized." Sometime in the 1970s the theatre closed and was converted to retail use. This organ had a factory date of March 25, 1926. The fate of this organ is unknown. Junchen, David L. The WurliTzer Pipe Organ – An Illustrated History. Compiled and edited by Jeff Weiler. Chicago: The American Theatre Organ Society, 2005. Clark, Bobby. Photos (ca. 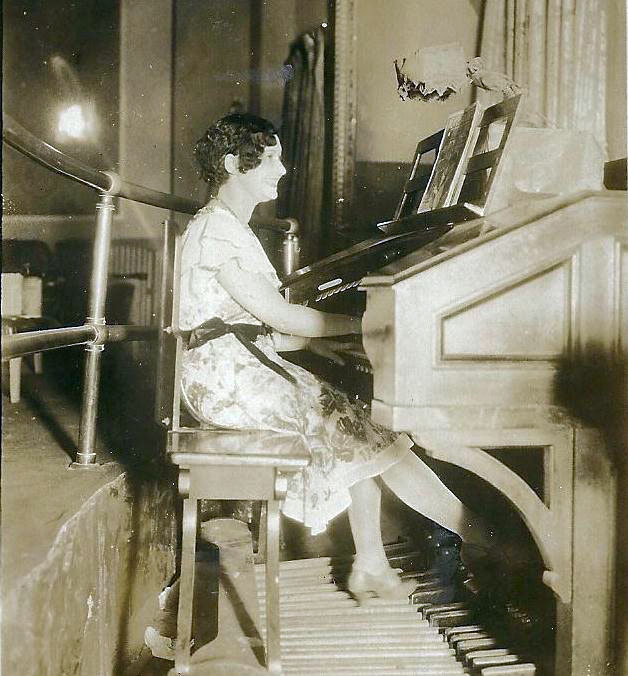 1928) of College Theatre marquee and organist Alba Germino at the Wurlitzer console.